Deputy President Ramaphosa used the visit to reassure Japanese businesses that South Africa was open for business. Deputy President Cyril Ramaphosa recently led a South African delegation to Japan for a working visit, which consolidated political and economic bilateral relations between the two countries. 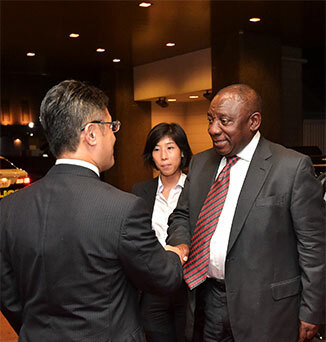 The Deputy President briefed Japanese investors about South Africa’s macro-economic stability, vibrancy and conducive business environment for Japanese business to invest in, particularly in ventures that could create jobs. Deputy President Ramaphosa also utilised the visit to secure commitments from Japan regarding efforts to combat the scourge of HIV, AIDS, tuberculosis and malaria. 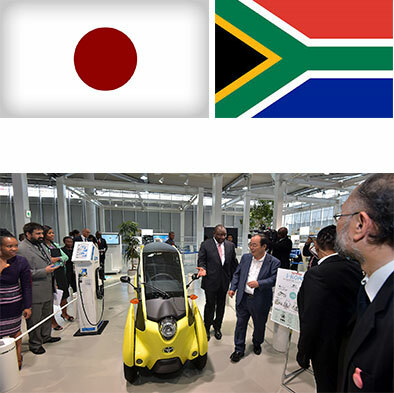 “South Africa and Japan will explore partnerships to promote innovation and technology to boost economic growth. This also comes within the context of South Africa’s implementation of the nine-point plan to strengthen the economy,” The Presidency said. The Minister paid a courtesy call on the President of Mauritania, Mohamed Ould Abdel Aziz and the Prime Minister of Niger, Brigi Rafini. The Minister of International Relations and Cooperation, Maite Nkoana-Mashabane, undertook a Working Visit to Mauritania and Niger this week. Minister Nkoana-Mashabane’s visit to Nouakchott was at the invitation of the Minister of Foreign Affairs and Cooperation of Mauritania, Vatma Vall Mint Soueina. During the visit, the two ministers discussed the status of bilateral relations between South Africa and Mauritania and signed two bilateral agreements, namely on Regular Bilateral Consultations and on the Establishment of a Joint Commission of Cooperation. They used the opportunity to discuss a broad range of regional and international matters of mutual concern and interest. The Department of International Relations and Cooperation (DIRCO) said the discussions focused on matters of peace and security in the Sahel and North African regions. “South Africa regards Mauritania as an important partner in the advancement of the African Union Agenda 2063, as well as an important member of the Sahel and Maghreb regions,” said DIRCO. An Agreement on Economic Cooperation was signed in May 2015 in South Africa between the two ministers responsible for trade and industry. It is anticipated that this will deepen bilateral trade and economic relations with a particular focus on agriculture, fisheries, mining and tourism. During 2014, South African exports to Mauritania totalled approximately R300 million and South Africa imported about R7 million worth of goods from Mauritania. 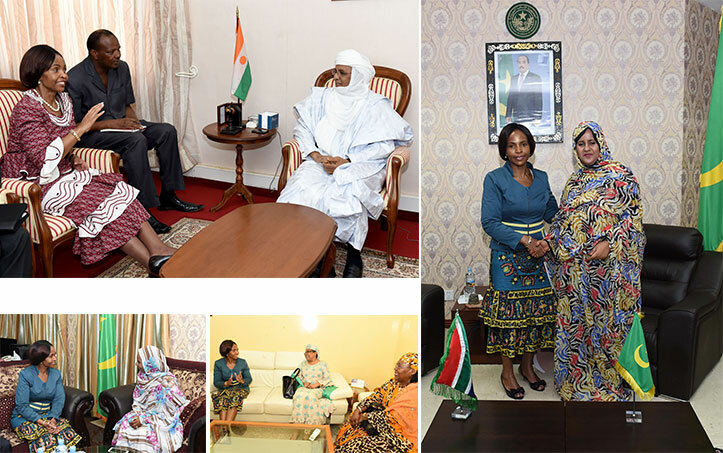 Following her visit to Mauritania, Minister Nkoana-Mashabane, on 25 August 2015, undertook a working visit to Niger at the invitation of the Minister of Foreign Affairs, International Cooperation, African Integration and Nigeriens Living Abroad of the Republic of Niger, Aïchatou Boulama Kane. During the visit, the ministers evaluated progress made in bilateral cooperation between the two countries and discussed various multilateral and regional issues of mutual interest. Between 2009 and 2013, exports to Niger were favourable to South Africa with total exports amounting to R297 million, while imports from Niger amounted to R6,1 million. "Our vision is an African continent, which is prosperous, peaceful, democratic, non-racial, non-sexist and united, and which contributes to a world that is just and equitable," said Minister Nkoana-Mashabane. The Nelson Mandela Library honoured International Relations and Cooperation Minister, Maite Nkoana-Mashabane, with a National Women's Award on 21 August 2015. 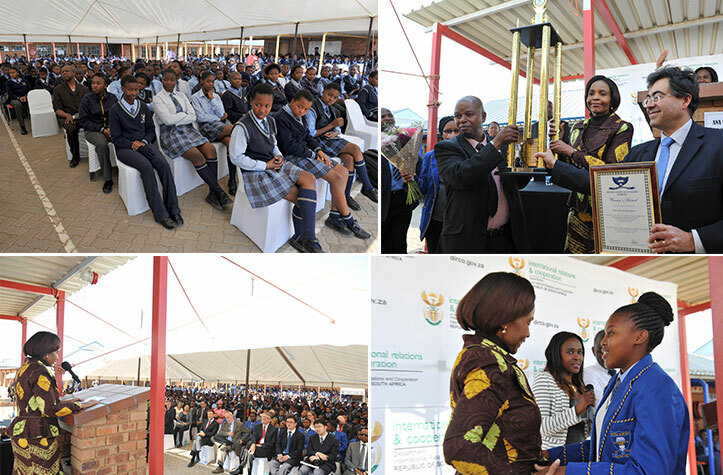 The library, which is based at the Protea Glen Secondary School in Soweto, said Minister Nkoana-Mashabane was chosen for the award in recognition of her dedication to the promotion of human rights, women’s empowerment and gender equality and as a leader and role model for young women. Minister Nkoana-Mashabane dedicated the award to the women who led the march to the Union Buildings in 1956 in protest against apartheid pass laws. The Minister said those women who took part in the 1956 march made it possible for today's generation to live in a free and democratic South Africa. The Minister said South Africa's foreign policy was guided by a commitment to human rights, the promotion of peace and stability and the resolution of conflicts through peaceful means. It was the first-ever visit by a South African Deputy Minister of International Relations and Cooperation to both countries since the establishment of diplomatic relations in 1994. The Deputy Minister of International Relations and Cooperation, Nomaindiya Mfeketo, has concluded her successful visit to Bangladesh and Nepal. While in Bangladesh, the Deputy Minister held bilateral discussions with the Minister of Foreign Affairs, Abdul Hassan Mahmood Ali. During the visit to Bangladesh, the Deputy Minister expressed South Africa’s interest in further strengthening bilateral trade relations as many opportunities existed for Bangladesh to invest in South Africa. Deputy Minister Mfeketo also paid a courtesy call on the Minister of Expatriates’ Welfare and Overseas Employment. The two exchanged views on various pertinent issues, including addressing the challenges around migration issues and finding constructive solutions. Bangladesh has the potential of becoming a significant trading partner for South Africa. Bilateral trade and economic relations between South Africa and Bangladesh have sharply increased in recent years. In 2014, South African exports to Bangladesh almost doubled over the figure of 2013 to reach R852 million. Bangladesh imports into South Africa reached a new high of R745 million in 2014. The Deputy Minister’s visit to Nepal was historic and should be regarded as a renewed commitment by the South African Government towards enhancing bilateral relations between South Africa and Nepal. This visit also underscored the continued commitment of the South African Government towards supporting their internal reconciliation and nation-building endeavours. During the Deputy Minister’s visit to Nepal, she paid a courtesy call on the Minister of Foreign Affairs, Mahendra B Pandey. The two exchanged views on what both countries can do to improve bilateral trade and to identify new areas of cooperation which could be explored. Deputy Minister Mfeketo also had an interaction with the Nepal Truth and Reconciliation Commission, the Secretariat of the South Asian Association for Regional Cooperation. 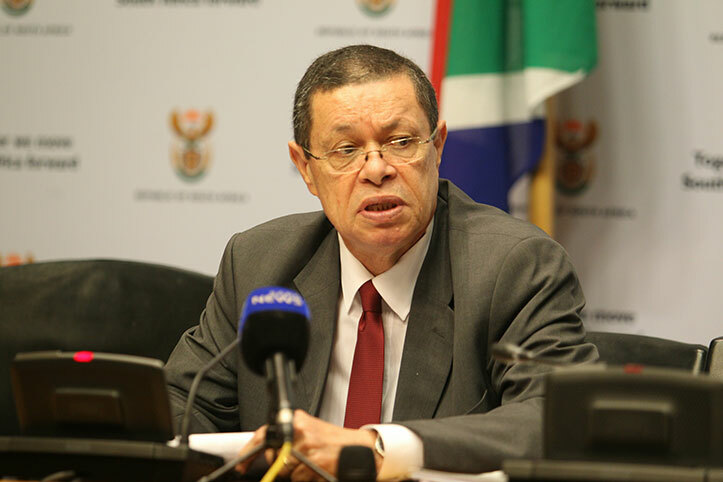 The Deputy Minister of International Relations and Cooperation, Luwellyn Landers, this week briefed the media on international developments at the Imbizo Media Centre, Cape Town. Deputy Minister Landers focused on the outcomes of the 35th Southern African Development Community (SADC) Summit of Heads of State and Government; the launch of the South Africa-United Arab Emirates (UAE) Joint Commission (JC); and the upcoming visit by President Jacob Zuma to China. The Republic of Botswana hosted the 35th Ordinary SADC Summit of Heads of State and Government from 17 to 18 August 2015 under the theme: “Accelerating Industrialisation of SADC Economies through Transformation of Natural Endowment and Improved Human Capital". 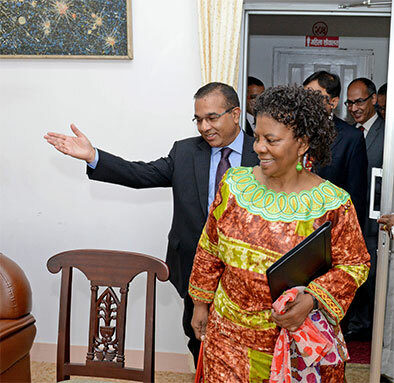 The summit, among other things, noted progress in the political and security situation in the Republic of Madagascar, the Democratic Republic of Congo and the Kingdom of Lesotho. It approved the SADC Regional Counter-Terrorism Strategy to collectively address threats of both international and domestic terrorism in a coordinated manner. Issues of macro-economic convergence, member states’ economic reforms and plans to combat challenges to regional sustainable economic growth were also identified as critical towards economic integration endeavours. Following the endorsement at the April 2015 Extraordinary Summit of the Regional Indicative Strategic Development Plan (2015 - 2020) and the Regional Industrialisation Strategy and Roadmap (2015 - 2063), member states were urged to commit towards implementation of these plans. In order to support industrialisation, SADC must also concentrate on infrastructure development. Financing remains a key challenge towards this realisation and as such, alternative sources of funding should be explored for presentation at the August 2016 summit, to be held in the Kingdom of Swaziland. The inaugural meeting of the JC between South Africa and the UAE is scheduled to take place on 31 August 2015 and will be co-chaired by Minister Maite Nkoana-Mashabane and Minister Reem Ebrahim Al Hashimi. The JC will provide the two countries the opportunity to review bilateral relations and deliberate on proposals for enhanced and new areas of cooperation. South Africa and the UAE have maintained a good relationship since formal diplomatic ties were first established in 1994. The relationship has a strong economic focus, and the UAE is already a lucrative export market for South African products, while many South African companies are benefitting from opportunities in the UAE in a variety of sectors. The visit to the UAE will also present an opportunity to exchange views on recent political developments in the Middle East and Africa. President Zuma has been invited by His Excellency Xi Jinping, President of the People’s Republic of China, to participate in celebrations in Beijing on 3 September 2015 to mark the 70th Anniversary of the End of the Occupation of China and the Second World War. It is expected that President Zuma and his delegation will also assess the status of progress on the key areas identified under the Five-to-Ten Year Strategic Programme for Cooperation and discuss preparations for South Africa’s hosting of the Forum for China-Africa Cooperation Summit from 4 to 5 December 2015. Peace and security are key requirements for Africa’s prosperity, says International Relations and Cooperation Deputy Minister, Luwellyn Landers. Speaking at the 15th Annual Regional Seminar on the Implementation of International Humanitarian Law (IHL) recently, Deputy Minister Landers said some of the most lethal conflicts were being played out on the African continent. This, he said, posed a great threat for sustainable peace and development on the continent. The annual regional seminar, which looks at issues relating to IHL, was held at the OR Tambo Building in Pretoria. The Department of International Relations and Cooperation and the International Committee of the Red Cross have for the last 15 years co-hosted this seminar, which forms a major part of the Government’s contribution to the advocacy role and promotion of IHL. The annual seminar, which brought together representatives from countries across the region, focused on children associated with arms carriers, the prosecution of war crimes and the convention on internally displaced persons in Africa. The seminar was themed: “The Power of Humanity: International Humanitarian Law in Action”. 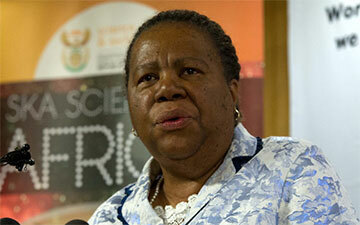 Modern technology, Deputy Minister Landers said, had brought about many positive developments. On the grim side, it is increasingly characterised by an array of new and lethal methods of warfare – remote controlled weapons, automated weapon systems and even the possibility of combat robots on the battlefield in the future. “South Africa firmly condemns all forms of terrorism from whichever quarter and stands firmly with the international community in condemning it and we will continue to support regional and international efforts to address this scourge,” said the Deputy Minister. South Africa, which already subscribes to a rules-based multilateral system, strongly urged governments to increase compliance with IHL instruments. AGOA is a preferential agreement that has been in place since 2000 between the USA and Sub-Saharan African (SSA) countries. The current AGOA is due to expire at the end of September. 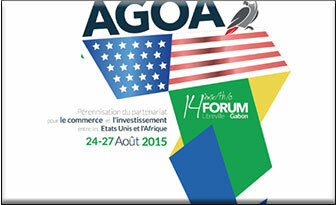 The South African Ambassador to the United States of America (USA), Mninwa Mahlangu, was in Libreville, Gabon, to participate in the 14th African Growth and Opportunity Act (AGOA) Forum. Ambassador Mahlangu said he was confident that South Africa would continue benefiting from AGOA for the next 10 years. The forum is an annual event held on a rotating basis between the USA and SSA countries with the last forum having been hosted by the USA in Washington in 2014. The Ambassador reiterated government’s message that AGOA had generated enormous good will for the USA on the continent and more could still be done. In addition, South Africa has made tremendous progress to address the issues that were previously raised by the USA. “One of the issues was related to poultry. The South African Poultry Association has since the Paris deal drafted the industry-to-industry agreement to confirm the understanding of the discussions in Paris and forwarded it to the USA Poultry and Egg Export Council (USAPEEC), and the National Chicken Council for consideration. A response was received recently. “The South African Government is ready to implement the agreement once finalised by the respective poultry industries,” stated Ambassador Mahlangu. The US poultry industry, represented by USAPEEC, had demanded that the current anti-dumping duties that South Africa had in place be dropped from the tariff book so that the exports could resume. Amb Mahlangu emphasised that South Africa had also already made significant progress, and continued to make progress on addressing other market-access interests and regulatory concerns of the USA on beef and pork. Minister Pandor’s speech focused on women empowerment and the importance of technology in advancing women’s economic empowerment. On 19 August, the Minister of Science and Technology, Naledi Pandor, addressed the Global Women in Management reception dinner at the Twelve Apostles Hotel in Cape Town. The Global Women in Management Programme is designed for mid-career women from non-governmental organisations, foundations, academia and business women's associations that implement projects targeting existing and emerging female business leaders and entrepreneurs with skills development, opportunities to start businesses and technologies that advance women economically. The programme strengthens women's management, leadership and technical skills to enhance and bring to scale programmes that advance women's economic opportunities and build the next generation of women business leaders and entrepreneurs. Global Women in Management helps women to fulfil their potential by building capacity in local communities and promoting societal progress. The programme targets women from countries such as Angola, Cameroon, Chad, Equatorial Guinea, Gabon, Liberia, Madagascar, Nigeria, South Africa and Tanzania. Speaking recently at the Tourism Trade show in Singapore, Deputy Minister Xasa said the tourism sector was continuing to think innovatively about new and exciting ways to attract visitors. The tourism sector has a huge potential to create jobs, says Tourism Deputy Minister, Tokozile Xasa. “This is exciting news for budding entrepreneurs and the youth of the country, as innovation is very often the cornerstone of what sets one business apart from the next and allows new start-ups an opportunity to gain market access. “Especially in our townships and rural areas, cultural tourism is a niche that continues to offer opportunities,” she said. 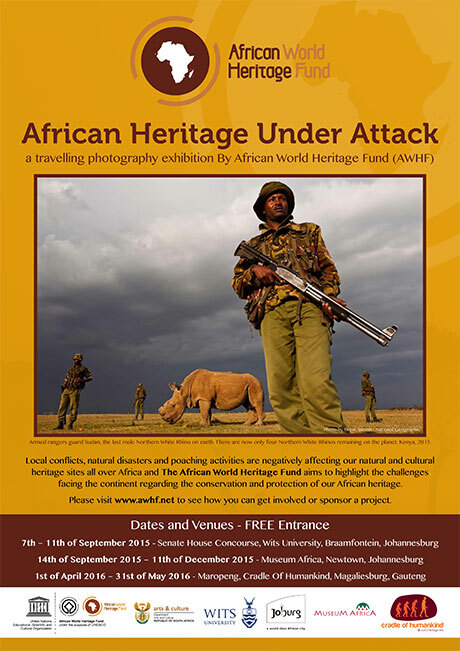 The Department of Tourism is partnering with business owners in the sector to leverage off the unique heritage of the country, especially in terms of the country’s liberation struggle history. Deputy Minister Xasa said the sector was valued due to the fact that it had very few barriers to entry for new businesses, especially when compared to other industries such as mining. “In addition, the sector is less capital-intensive than most others while also being more reliant on human capital,” Deputy Minister Xasa said. The Department of Arts and Culture conceptualised the Living Legends Legacy Project to recognise the role played by living legends across all disciplines within the arts, culture and heritage sector as part of the implementation of heritage initiative. On 25 August, the Minister of Arts and Culture, Nathi Mthethwa, launched the Living Legends Legacy Project at the Cedar Woods Hotel in Sandton, Johannesburg. This legacy project seeks to promote nation-building and social cohesion as well as enhance the sharing of skills, knowledge and experience. The aim of the project is to identify living legends across all arts disciplines and engage them actively in programmes that promote arts. This will also allow them to document and archive their own and other works, in this way enriching the telling of the South African story and engaging with young generations. The launch was attended by well-known legends in the sector, who included, among others: Letta Mbulu, Abigail Kubheka, Caiphus Semenya, Thandi Klaasen, Don Mattera, Joe Mafela, Dorothy Masuka, Fred Hageman, Babsy Mlangeni, James Mathews and Prof. Pitika Ntuli. The Department of Basic Education (DBE) is the Secretary-General of the South African National Commission for the United Nations Educational, Scientific and Cultural Organisation (UNESCO). The DBE, in partnership with the South African National Commission for UNESCO and Rhodes University, hosted a workshop at the DBE Conference Centre in Pretoria on 24 August. 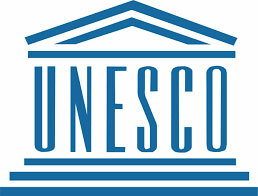 UNESCO is coordinating a process of national consultations aimed at launching the Global Action Programme on Education for Sustainable Development (ESD). National consultations aim to give a voice to nation states and their stakeholders in terms of their ESD contexts and their aspirations for acting in the Global Action Programme. The awards were conferred by the outgoing Chair of the Southern African Development Community (SADC) and President of the Republic of Zimbabwe, Robert Mugabe at the 35th SADC Summit in Botswana. The award winners were announced during the official opening ceremony of the 35th SADC Summit. The South African winners of the SADC 2015 Media Awards and the SADC Schools Competition were recently announced in Gaborone in Botswana. Two South African Broadcasting Corporation (SABC) journalists, Dennis Tshetlhane and Sam Msibi, walked away with the Television Category of the SADC Media Awards, while South African high school learner, Imbelani Matibe, won the SADC Essay School Category Competition with her essay titled: "SADC Strategy for Economic Transformation: Leveraging the Region's Diverse Resources for Sustainable Economic and Social Development through Beneficiation and Value Addition". Matibe is a Grade 11 learner at Thengwe High School in the Vhembe District in Limpopo. Tshetlane and Msibi jointly won US$2000 for their story of mine workers from the SADC region who are owed money by a provident fund in South Africa. Matibe won US$750 and a laptop. The SADC Media Awards are aimed at promoting excellence in the fields of Print Journalism, Radio Journalism, Television Journalism and Photojournalism. The SADC Media Awards serve as a link for coordination and synchronisation between formal structures of SADC member states and media. They further seek to bring and enhance partnership between media and government institutions. 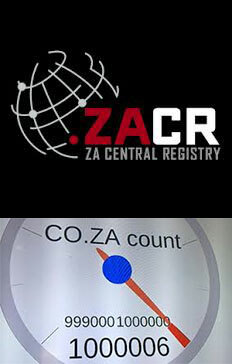 ZACR manages the .co.za, .web.za, .org.za, .net.za domains as well as the recently launched city top level domains (cTLDs) of .capetown, .joburg and .durban. The number of co.za web domain names had surpassed the one million mark, the ZA Central Registry (ZACR) announced on Twitter recently. The organisation said there were now more than 1 000 050 active .co.za domains. However, it has taken more than 20 years for .co.za to hit the one million mark. The learners represented South Africa in the World Water Prize competition after winning the South African Youth Water Prize competition earlier this year. 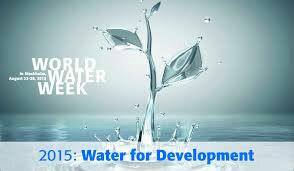 The Department of Water and Sanitation recently took three learners from Matlhari High School in Limpopo to participate in the World Water Week in Stockholm, Sweden. The three learners, Camilla Mashele, Nhlonipho Nukeri and Hlengi Makumbila are attended the summit from 23 to 28 August. “At a tender Grade 10, the three learners from the rural village of Shikwambana in Limpopo proved to be a force to be reckoned with as they beat the odds and came up with a brilliant scientific project,” the department said. The project is aimed at water conservation through the reduction of water leaks in households and overflow of water in reservoirs using cellphone services. The learners competed against some of the renowned technologically advanced countries like China through the presentation of the project. 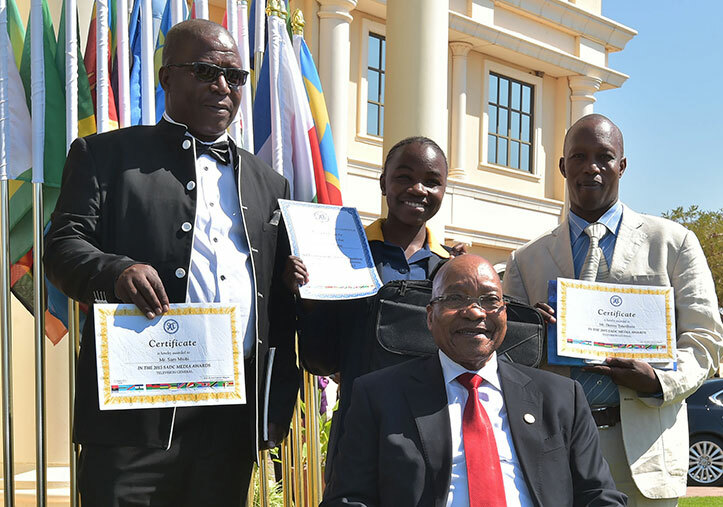 The learners have been awarded laptops and bursaries from the Department of Water and Sanitation to study any water-related course at a South African university of their choice. The South African Youth Water Prize Competition is a competition run by the Department of Water and Sanitation aimed at aspiring young water scientists in high schools across the country. The countdown has certainly begun and Trevor is probably counting how many more sleeps it is right now. He recently uploaded a Daily Show photo of himself with the message: “Let’s Go”. 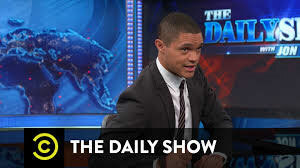 Comedy Central recently released its first video teaser introducing The Daily Show with Trevor Noah. The video shows a very cool and suited-up Trevor Noah strutting in to the “The Daily Show” studio … and readying his seat for the take-over on 28 September 2015. Taking place from August 31 to September 4 in Johannesburg and Cape Town, this year’s event is the biggest WORLD CLASS competition yet, with bartenders from over 50 countries – including more female contestants than ever before – competing to be crowned the best bartender in the world. Cape Town's status as the World Cocktail Capital has been set as South African prepares to welcome 55 of the most talented bartenders in the world for the WORLD CLASS Bartender of the Year competition. Diageo Reserve, in partnership with the City of Cape Town, said in a statement the landmark week on the luxury calendar would be attended by hundreds of industry experts and media representatives from around the world – boosting South Africa’s international representation and attention considerably. "Over 28 million people in 123 countries have watched the TV show documenting the WORLD CLASS Bartender of the Year competition in London last year." “Cape Town’s designation as World Cocktail Capital follows on the city’s status as World Design Capital 2014 and we’re looking forward to hosting talented bartenders from around the world, showcasing Cape Town’s commitment to innovation, cutting-edge trends and global events,” said Garreth Bloor, Cape Town’s mayoral committee member for tourism, events and marketing. 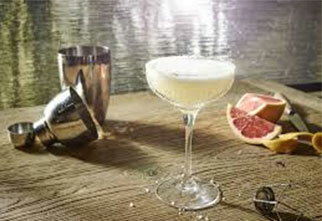 The event, now in its seventh year, is the biggest and most prestigious mixology event in the world, providing a platform to celebrate the crème de la crème of the world’s bartenders – those who will set industry trends and standards at the world’s best bars while elevating the craft and building the luxury drinking industry around the world. 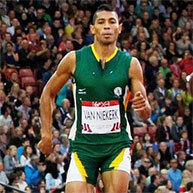 Van Niekerk won in a world-leading time of 43.48. South Africa's Wayde van Niekerk has won the gold medal in the men's 400m at the IAAF World Championship in Beijing.